Congratulations to our Convenor, Niall McGoldrick, for winning the Young Achiever Award at the Scottish Health Awards 2017. 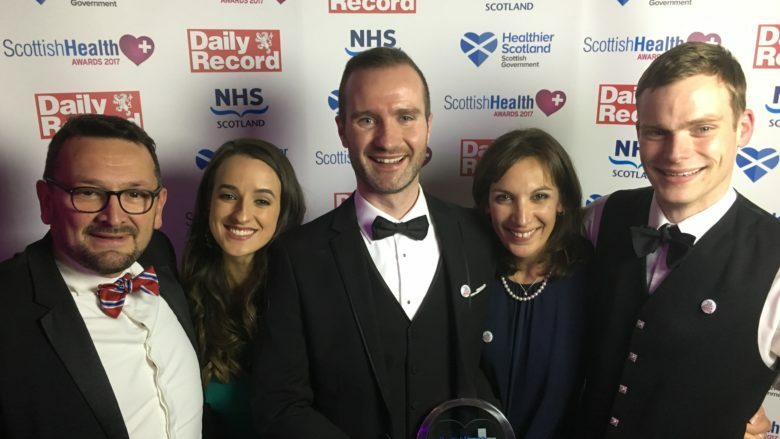 These awards recognise the hard work & achievements of healthcare staff from across the NHS workplace in Scotland. His nomination and award recognised the outstanding achievements of his early career. 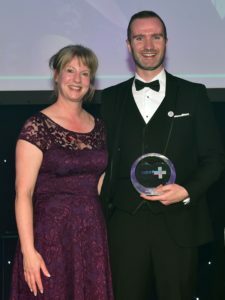 The judges were particularly impressed with the work he has done as one of the main drivers behind LTAMC in our engagement with the public, patients, healthcare professionals and public bodies. Additionally, Niall’s other voluntary work organising dental aid missions to Peru was a major factor. November is Mouth Cancer Action Month and this award has given all at LTAMC a real boost as we move into our busiest period. It’s nice to have our hard work rewarded but we know the fight against mouth cancer is a long one and we will continue our campaign to advocate, educate and collaborate to reduce its burden. 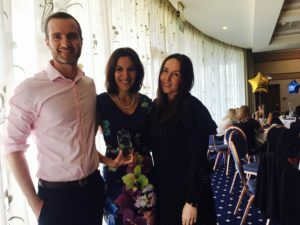 2017: Trustee wins NHS Star Award! Our Secretary and Trustee Dr Stephanie Sammut has been awarded the Gold Award in the The NHS Tayside Star Awards. She took first place in the Inspiring Educator section. Steph was nominated by the Dental Core Training group in Dundee Dental Hospital where she works as an NHS Consultant in Oral Surgery and is Clinical Lead for the department. The award highlighted her enthusiasm for her work with our charity in educating undergraduate dental students, postgraduate dentists and for her teaching style in Oral Surgery. The award ceremony was compered by NHS Scotland’s National Clinical Director, Professor Jason Leitch (also an Oral Surgeon by trade!). Steph collected the award at a ceremony in the Invercarse hotel in Dundee. 2015: Winner, Association of Dental Groups’ award for best voluntary scheme to promote and deliver improvements in oral health. The team were recognised for their efforts in the fight against Mouth Cancer by the UK Association of Dental Groups. 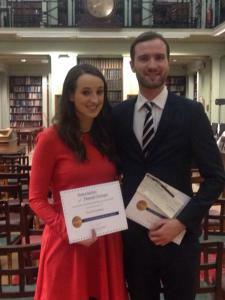 The award was presented at an event at the Royal College of Surgeons of England.